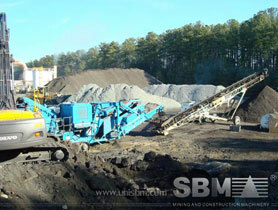 SBM is professional minerals crushing equipment manufacturer and exporter. Both our jaw crushers and impact crushers are suitable of clay crushing. Our crushers for clay crushing combine robust design and high performance. A combination of high motor power, large throw and higher speed in most cases gives these crushers capacities greater than other crushers of comparable size. To improve the whole productivity of clay crushing plant and perfect our services, we will provide you both those common wear parts and spare parts. Also there are series of systematic training course about machinery repair and maintenance. SBM can offer types of clay crushers for clay crushing plant. We can offer PE jaw crusher and small PEW jaw crusher used as primary clay crusher machine, impact crusher and cone crusher for secondary crushing process, cone crusher and roll crusher for tertiary crusher plant. "For smaller pieces of clay mine, you can directly use our impact crusher as clay crushers. Otherwise you need firstly use jaw crusher as primary crushing equipment. "